In this modern era we live in I think we have all grown so dependent on smart phones for handling more than just phone calls… I routinely am checking my emails from my phone, updating the blog, and at shows i launch the application that allows me to take credit card processor. With all that use one problem arises – power. Battery life of my cell phone seems to deplete quickly, and when we are out and about at events it seems the most critical to have power. I purchased these at @Walgreens for $20 each. But they are available at Radio Shack, and online as well. After some research I found a fairly inexpensive answer – mobile power. A little larger than a bic lighter, these mobile power cells can be charged by plugging into the usb port on your pc or printer. After the initial charge of 5 hours the power cell will provide at least one full recharge of your cell phone battery, and the ones shown about can give up to two charges. There is a faint little light indicator (two small pin holes on the upper power cell) that are red until fully charged then turn to green. They come with the cable to the USB plug built in that neatly snapping into itself when not in use. 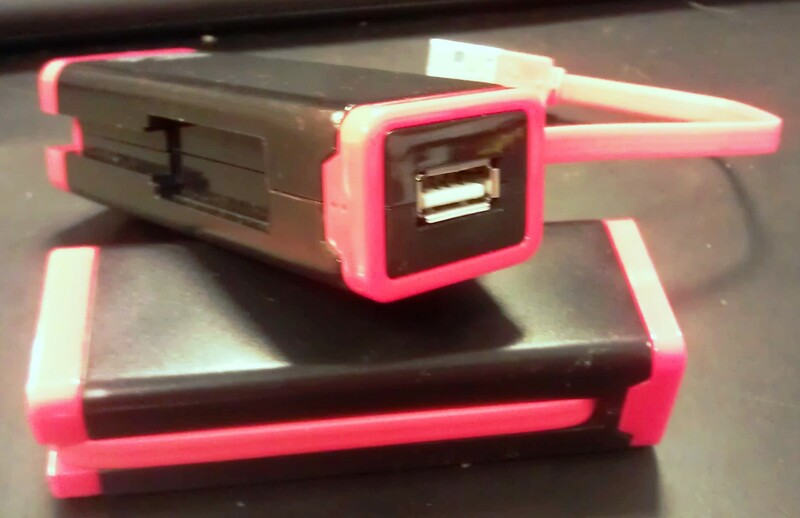 You simply plug your own charging cable for your phone to the usb plug of the power cell, and connect to the phone…. the power starts flowing immediately, providing you with the power while in use, or recharging your cell battery if you a re not using the phone. If you are away from power for extended times, or in a situation like we were for the Sauerkraut Festival weekend where there is not a plug in the vehicle, these are handy… readily keep them charged, and just grab and go. There are so many models to choose from, including multiple usb port and various different sizes of storage capacity. The fascinating thing about our need for power for devices is the vast amount of options out there. If you want to spend the money there is a device sold by Tremont Power Company that never needs to be plugged in… you just keep it on yourself and the motion of movement is constantly generating power. It is called the nPowerPEG. And there is new swedish water generation technology that allow you to add water to a small device, and the electricity begins. Again, price is an issue for me, but if it is not a problem for you check it out. It is called the PowerTrekk. Finally, there are solar powered power cells. There are a bunch of options here also, readily available at places like Radio Shack. Again, price is the issue for me. I would imagine that either you pay up front for no cost recharging via the sun, or you pay a lower rate, and then use electricity over time as you recharge…. In any event, I hope this offers some thoughts on keeping that smart phone, (or tablet) powered.